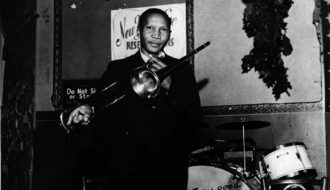 Albert Warner is best remembered as a traditional jazz and brass band trombone player from New Orleans. Albert Warner is best remembered as a traditional jazz and brass band trombone player from New Orleans. Warner played with the Excelsior, Columbia, Pacific, and Original brass bands prior to joining the Eureka Brass Band as a regular member. Warner would play with the Eureka for the last thirty-three years of his life. 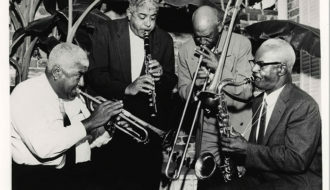 Over the course of his long career, Warner would perform and record with Louis Dumaine, Bunk Johnson, George Lewis, Kid Rena, Punch Miller, Wooden Joe Nicholas, Buddy Petit, and Chris Kelly. 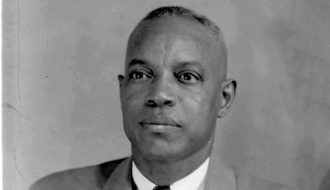 Warner was born on December 31, 1890, in the Tremé neighborhood of New Orleans. 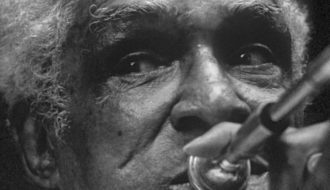 Warner’s father was a string bass player, and although he very likely played informally during his upbringing, Warner did not take up the trombone seriously until he was twenty-two years old. At that time he took lessons from one of his half-brothers, Ulysses Jackson, as well as Arthur Stevens and Honoré Dutrey. Warner was also influenced in his youth by hearing Freddie Keppard, Vic Gaspard, and Baptiste Delisle. Warner’s first professional jobs were playing for dance bands, including those led by “Big Eye” Louis Nelson, Kid Rena, Wooden Joe Nicholas, Buddy Petit, and Chris Kelly. In 1932 Warner joined the Eureka Brass Band; he would remain a regular member of this group until his death in 1966. 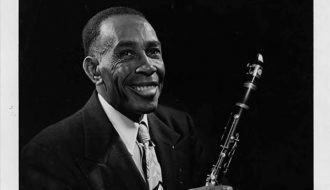 Warner’s musical interplay with Charles Sonny Henry in the Eureka band during the late 1940s and 1950s is remembered by many for its intricacy and beauty. In the early 1940s Warner played and recorded with jazz greats Bunk Johnson and George Lewis. 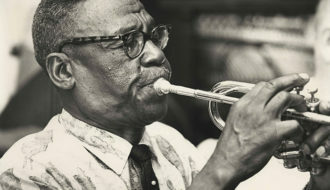 He would record often throughout the 1950s, and in the 1960s he could be found playing frequently at Preservation Hall. 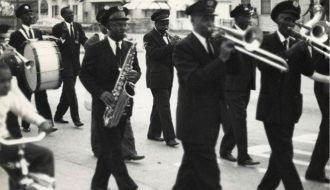 Warner accompanied the Preservation Hall band on a number of tours with Kid Sheik and the Eureka Brass Band, as well as one Memphis tour with Billie and DeDe Pierce in 1965. Warner left behind a number of sessions recorded and released by Commodore, Pax, Folkways, Atlantic, and American. 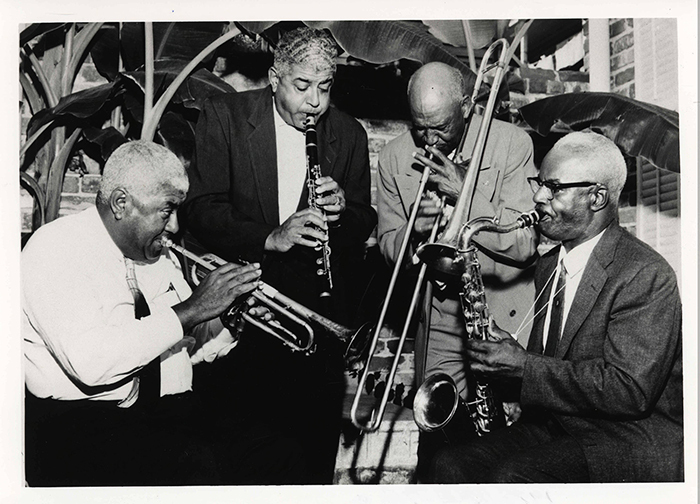 The album Bunk Johnson 1942/1945 featured Johnson (trumpet), Lewis (clarinet), Walter Decou (piano), Lawrence Marrero (banjo), Chester Zardis (string bass), Edgar Moseley (drums), and Warner on trombone. Warner recorded multiple records with the Eureka Brass Band, including the self-titled Eureka Brass Band and The Eureka Brass Band in Rehearsal, both released by the American Music label. 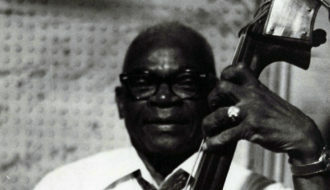 There were a number of recordings with Charlie Love as well, including Peter Bocage with His Creole Serenaders and the Love-Jiles Ragtime Orchestra, released by American. Other albums Warner appeared on include Punch Miller: Delegates of Pleasure (American), John Casimir’s Young Tuxedo Jazz Band (American), and 1961’s Kid Sheik in Cleveland and Boston (also released by American). In addition to these, Warner appeared on Atlantic’s Jazz at Preservation Hall series in 1962. 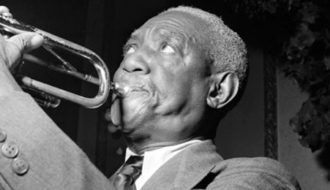 Warner died on September 10, 1966, in New Orleans. Hobbs, Holly "Albert Warner." In https://64parishes.org Encyclopedia of Louisiana, edited by David Johnson. Louisiana Endowment for the Humanities, 2010–. Article published March 12, 2014. https://64parishes.org/entry/albert-warner. Gushee, Lawrence. 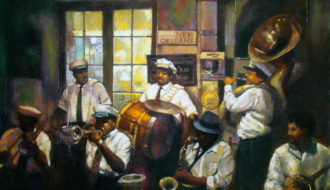 Pioneers of Jazz: The Story of the Creole Band. Oxford, UK: Oxford University Press, 2005. Knowles, Richard H. Fallen Heroes: A History of New Orleans Brass Bands. New Orleans: Jazzology Press, 1996. “Albert Warner.” Oral history transcript. January 8, 1959. Hogan Jazz Archive, Tulane University, New Orleans.